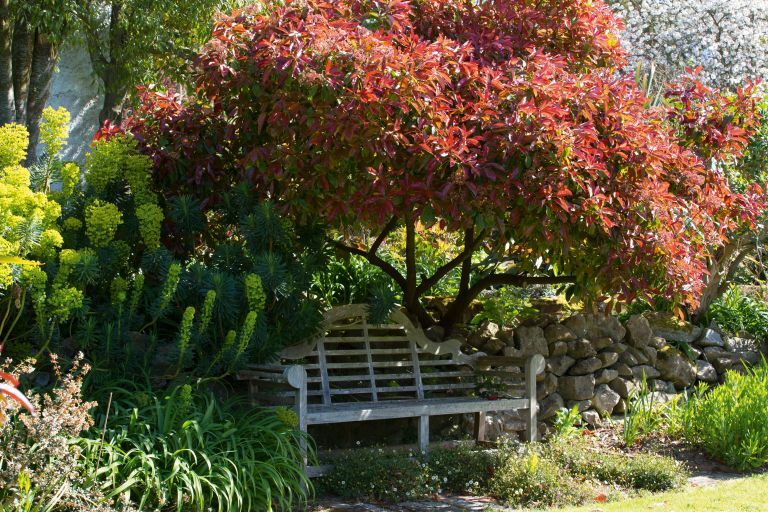 A well-established, mature tree adds beauty to a garden, but, as it turns out, depending on its species and age, a tree can also add significant value to a property, which means UK homeowners with rare or old tree specimens may be sitting on thousands of pounds' worth of extra value – and should therefore be very careful before taking the decision to cut down a tree, assuming its even permitted. It's not always the case, however, that mature trees add value. Some, you may not be surprised to learn, can detract from a property, too, especially those with invasive roots planted close to the house, tall trees (think leylandii) that block views, throw shade over an otherwise sunny garden, or which become dangerously overgrown. Wondering whether yours might be on the list of 10 trees that could boost the value of your garden or reduce it? Exotic, slow-growing species were revealed by Shoot Gardening and Tendercare to be the most valuable, with a single Chinese magnolia tree adding as much as £8,500 to the value of a garden. Evergreen yews, mature oak trees, and Portuguese laurel will add almost £2,000 each, while the picturesque Japanese maple will add £1,500. Olive trees, common in the Mediterranean but high maintenance in the UK, will bump up the value of a garden by £500 each. The key to assessing the value of a tree growing in your garden lies in understanding how difficult it would be to replace. Fast-growing varieties, such as poplars, are less valuable than slow-growing oak trees. And don't forget that some mature trees are protected by tree preservation orders issued by local councils, and even pruning such a tree without seeking prior permission would subject the owner of the garden to a hefty fine. In fact, a Dorset home owner who cut back an ancient oak tree in his garden, unaware that the tree came with a preservation order, was recently told to pay a £1,200 fine and nearly £40,000 in legal costs as a result. If you are unsure of how valuable the trees in your garden may be, consult an arborist for an evaluation. And while the exotic, slow-growing tree species such as magnolias will boost the value of your home, some, such as certain species of pine and willow, may do damage to the house and should be assessed for pruning or, in some cases, removal – but always check with your local council before you cut. Find out more about making an impact with mature plants in our guide.